The Newport or Hairpin pattern was made by Hazel Atlas during the 1930's. The color is amethyst, though Hazel Atlas called it 'Burgundy' in the original ads. 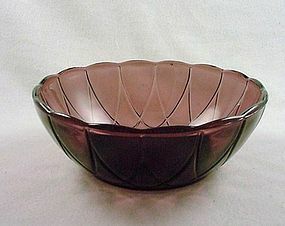 Offered here is the 4 1/2 inch berry bowl in excellent condition. I have 2 available, price is per bowl. See my other listings for more in this pattern. 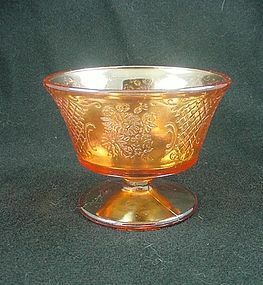 This depression glass sherbet is the Newport or Hairpin pattern. Made by Hazel Atlas during the 1930's, the color is amethyst, though Hazel Atlas called it 'Burgundy' in the original ads. Excellent condition, I have 3 available. Price is per sherbet. See my other listings for more in this pattern. 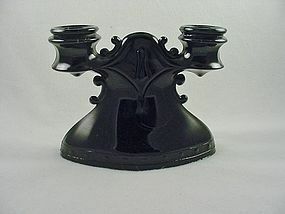 The Newport or Hairpin pattern was made by Hazel Atlas during the 1930's. The color is amethyst, though Hazel Atlas called it 'Burgundy' in the original ads. Offered here is the 4 1/2 inch flat tumbler in excellent condition. I have 9 available, price is per tumbler. See my other listings for more in this pattern. 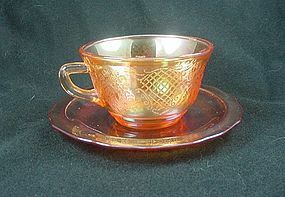 Normandie is a depression glass pattern often called by the carnival glass pattern name 'Bouquet and Lattice'. 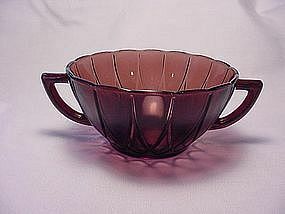 Produced from 1933 to 1939 by Federal Glass Company, it is the only iridescent depression glass pattern from that time period. 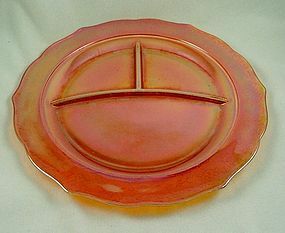 This is the 6 inch bread & butter or cake plate in excellent condition. I have more items in this pattern available, see my other listings or email for details. 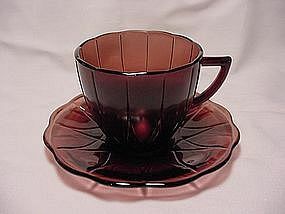 Normandie is a depression glass pattern often called by the carnival glass pattern name 'Bouquet and Lattice'. 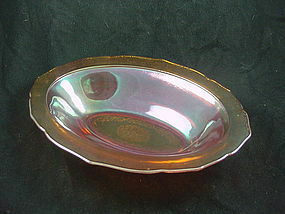 Produced from 1933 to 1939 by Federal Glass Company, it is the only iridescent depression glass pattern from that time period. This is the footed sherbet in excellent condition. I have more items in this pattern available, see my other listings or email for details. 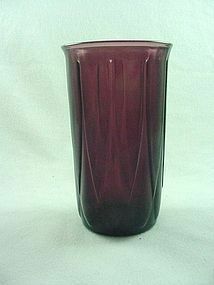 Normandie is a depression glass pattern often called by the carnival glass pattern name 'Bouquet and Lattice'. 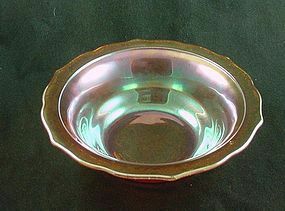 Produced from 1933 to 1939 by Federal Glass Company, it is the only iridescent depression glass pattern from that time period. This is the 11 1/2 inch divided dinner or grill plate in excellent condition. I have more items in this pattern available, see my other listings or email for details. 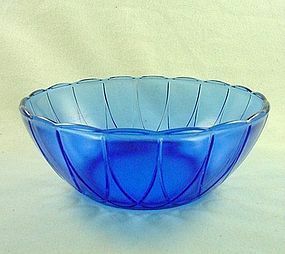 Normandie is a depression glass pattern often called by the carnival glass pattern name 'Bouquet and Lattice'. 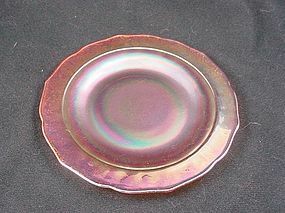 Produced from 1933 to 1939 by Federal Glass Company, it is the only iridescent depression glass pattern from that time period. 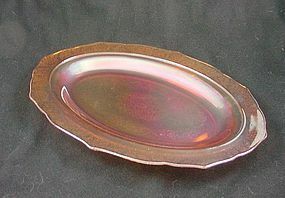 This is the 12 inch oval serving platter in excellent condition. I have more items in this pattern available, see my other listings or email for details. 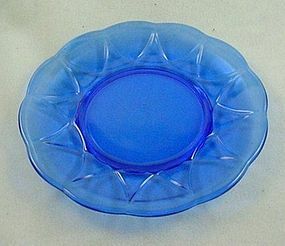 Normandie is a depression glass pattern often called by the carnival glass pattern name 'Bouquet and Lattice'. 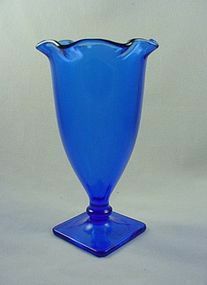 Produced from 1933 to 1939 by Federal Glass Company, it is the only iridescent depression glass pattern from that time period. 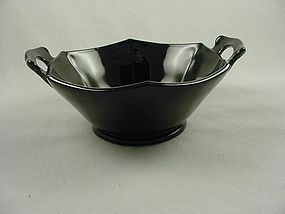 This is the 10 1/2 inch oval vegetable bowl in excellent condition. I have more items in this pattern available, see my other listings or email for details. 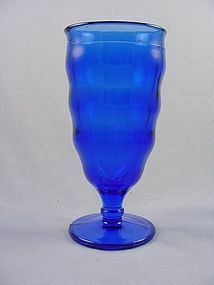 Normandie is a depression glass pattern often called by the carnival glass pattern name 'Bouquet and Lattice'. 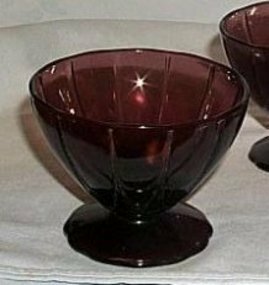 Produced from 1933 to 1939 by Federal Glass Company, it is the only iridescent depression glass pattern from that time period. This is the 8 inch round serving bowl in excellent condition. I have more items in this pattern available, see my other listings or email for details.